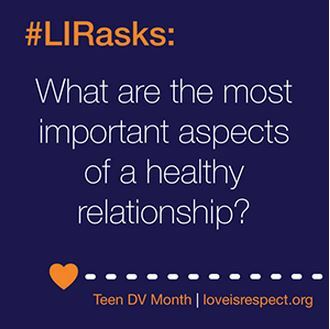 Love is Respect continue to educate teens, parents and communities on dating violence. We live in a world of technology where today it’s not only about physical and verbal abuse, people are suffering with digital abuse. You deserve to be in a safe and healthy relationship, both in person or online. If your partner is digitally abusive, know their behavior is not acceptable and could be illegal. Check out our tips below for staying safe on social networking sites like Facebook, Twitter, foursquare and others. The 2014 Workplace Bullying Institute survey (PDF) was released. 37 million workers reported being subjected to “abusive conduct” and 65.5 million are affected by this behavior. Whether it was those abused or people that witnessed it, peer cruelty is happening in workplaces across our country. 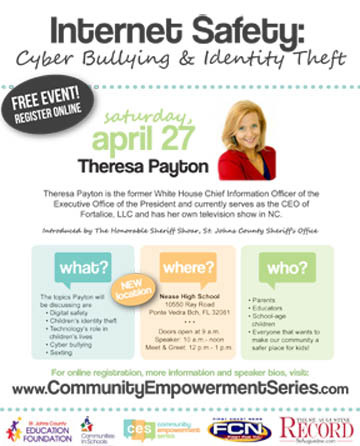 We often discuss children when it comes to bullying and cyberbullying. Sadly adult bullying topics are rarely in the headlines. This is not to diminish the fact that our youth are important, the fact they are killing themselves over words of hatred and learning to treat each other with such cruelty is despicable. We have to take a moment to realize, does it start at the top? Parents, teachers, coaches and all grownups, especially those in the workplace should be people that our children respect. The recent PSA released by VH1 is a reminder that the very people may be making fun of today could end up being your bosses for later. Like with many ad-campaigns, it can be extreme. Sadly the fact that many kids are tormented and harassed is true. Is the PSA tasteful? There are many opinions. The message is there, and that is what needs to be heard. No one is immune to bullying. At any age it is not right. Kindness will always take you so much further in life. #iCANHELP Campaign continues to spread nationwide with their message that kindness can defeat negativity. A few negative posts can leave you feeling alone and isolated. However, all it takes is one person noticing something good and complimenting our day to erase all of the negativity that is following us around. Simple acts of kindness happen everyday and they can make the world of difference in a person’s life. #iCANHELP Campaign is about deleting negativity on social media but it is also about being a positive warrior in life. Everything they do is about kindness and compassion towards others. There many campaigns that I have written about all have positive messages that help promote civility to all online and off. Check out their latest video – ERASE HATE and take the time to promote kindness in someone that needs to hear it today! This PSA shows mean texts being corrected with kind messages. We hope to encourage teens to ‘delete the mean‘. AND: one of our TRUCE members wrote the song!! A group of Marin Co teens have started TRUCE to promote Cyber-Kindness. It is National Bullying Prevention Month. uWillstand is bring the world together to make a difference! Pin your location! The music video for Stand the Anthem united youth across 17 states & 6 countries. Performed by Charleigh and Justin Gere “Stand” http://www.willustand.com Help us share the message of Stand with schools all across the nation and worldwide during October’s National Bullying Prevention Month. Use hashtags #willUstand and #StandtheAnthem, please share generously.